Soft Skull Press, 9781593764050, 352pp. In the near future, Berlin's real estate is being flipped in the name of "sustainability," only to make the city even more unaffordable; artists are employed by corporations as consultants, and the weather is acting strange. When Anja and Louis are offered a rent-free home on an artificial mountain--yet another eco-friendly initiative run by a corporation--they seize the opportunity, but it isn't long before the experimental house begins malfunctioning. After Louis's mother dies, Anja is convinced he has changed. At work, Louis has become obsessed with a secret project: a pill called Oval that temporarily rewires the user's brain to be more generous. While Anja is horrified, Louis believes he has found the solution to Berlin's income inequality. 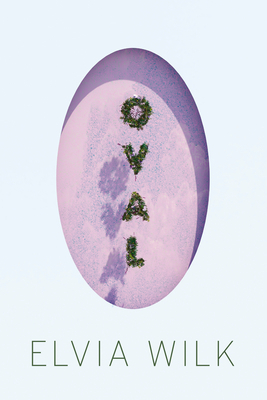 Oval is a fascinating portrait of the unbalanced relationships that shape our world, as well as a prescient warning of what the future may hold. Elvia Wilk is a writer and editor living in New York and Berlin. She writes about art, architecture, and technology for several publications, including frieze, Artforum, e-flux, Metropolis, Mousse, Flash Art, Art in America, and Zeit Online.